Customer Experience Survey Results for 2017 and 2018. In 2017, Capital Resources began surveying each new and existing customer who obtains an insurance agency loan from us. The results have been overwhelmingly positive. 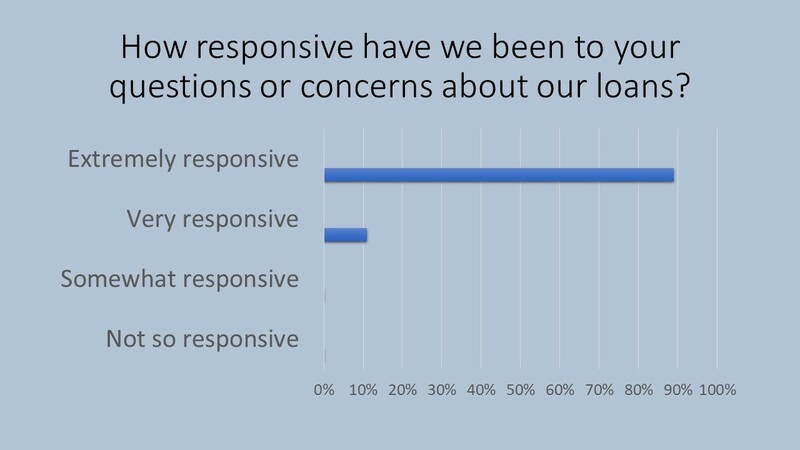 The survey is intended to better understand how we may improve our workflows, products, and gain a better understanding the needs of our current and potential customers. Aside from appreciating the positive feedback, we’ve taken the opportunity to improve our organization through listening to our customers by reducing some of our regular reporting requirements and streamlining the loan approval process. When considering a loan for your insurance agency, one of the most valuable resources available to help you choose a lender is your peers. 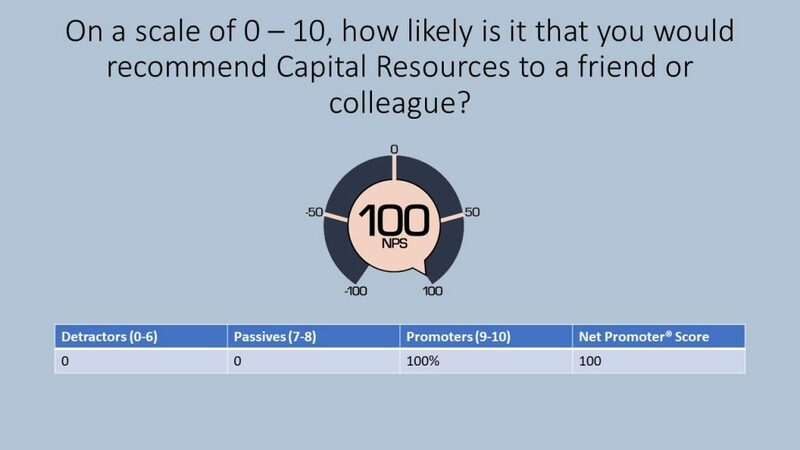 Of those surveyed, who responded, every single respondent said that they would highly recommend Capital Resources to a friend or colleague. 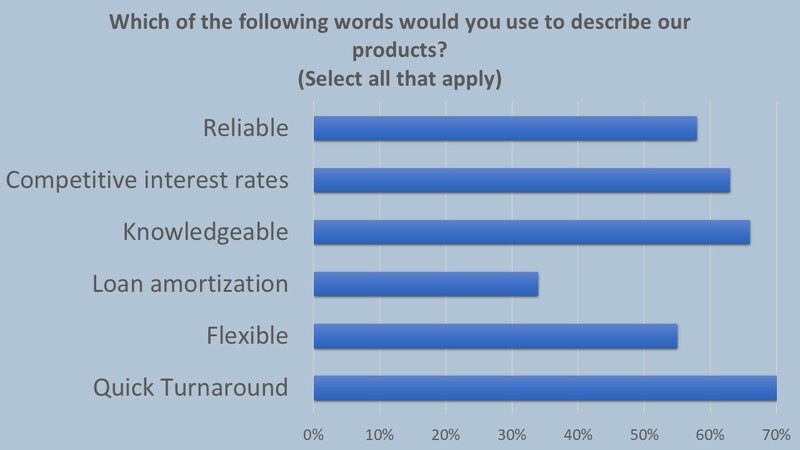 When asked, nearly all of the words/phrases used to describe Capital Resources and/or its loan products are positive. It is worth noting that in the actual survey each positive choice had an inverse and opposite option that could be chosen. We are happy to report that those were not illustrated because there were only three negative remarks in two years. We continue to strive to bring that down to zero. Thank you to all of our great customers who took the time to complete our survey. We thank you for your continued business and for the opportunity to help serve your lending needs. To those currently contemplating a new loan or refinancing an existing insurance agency loan, we hope that you will give us the opportunity to be your reliable, knowledgeable source for flexible loans at competitive interest rates with competitive fees with a quick turnaround time.